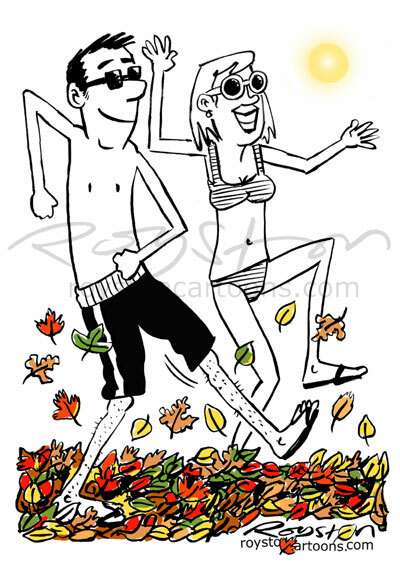 Here's a cartoon I drew for a newspaper article about the unseasonably hot autumn weather we had recently. Normally these cartoons are black and white but sometimes it's nice to add some colour, and those autumnal shades are rather nice, I think. Forgot to say thanks, Tim. Thanks, Tim.